Our director Richard and the team will be cycling a total of 1,400 miles and completing over 60,000 feet of climb all in 13 days. The route will take them through some gruelling terrain including crossing the Pyrenees. The day they cross the North West end of the Pyrenees contains a climb the equivalent of climbing twice the height of Snowdon in one day. They are hoping to raise £15,000 for four important charities, Hope House, Marie Curie, Leonard Cheshire Disability and Crohn’s and Colitis UK. 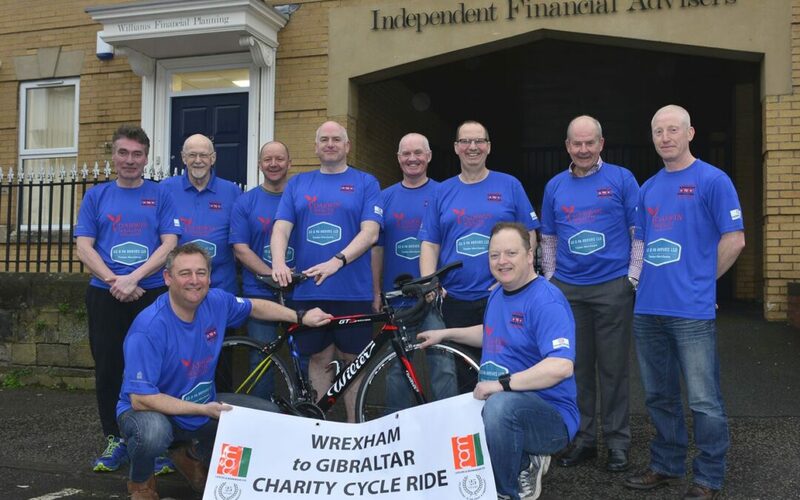 or cheques can be made payable to Wrexham to Gibraltar and sent to Richard at Williams Financial Planning Ltd.